I decided I wanted to make some curtains and a valence for my baby girl's nursery, so I started looking around online at various tutorials. I couldn't find a tutorial that I was really thrilled with that involved creating a curtain with a rod pocket--they all used the clips and rings--so, naturally, I decided to make my own post. This is a lengthier post; so lengthy, in fact, that I decided to divide it up and do the valence in its own post. I also did a separate post for the curtain tie-backs. Some of the math gets a little complicated, so bear with me. The curtains themselves are really not that complicated to make. This picture of my notebook gives you an idea of the math I was doing as I tried to figure out finished length, cutting length, yardage, etc. First of all, you will need to measure the height and width of your window. My window was 48" wide by 72" high. This particular window does not have a window frame, so I just measured the window itself. If it had a frame, I would have measured that as well, because the curtain would go on the outside of it. 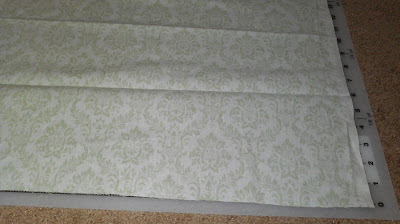 I then adjusted my length and width to get the desired final finished dimensions of my curtains. I decided I would like the curtains to have a little extra room at the top and bottom, so that they would be slightly longer than the window. 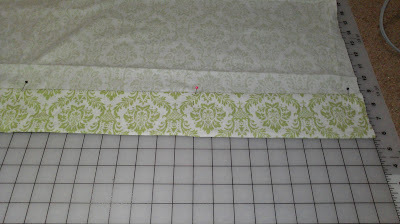 I added 5" total to the curtain length--about 2" for the top, and 3" for the bottom. This gives me a little wiggle room, and prevents it from looking like my curtains are just barely big enough for the window. It also adds height to the room. Anyway, this gave me a total finished length of 77"--72" for the actual window, plus 5" of overhang. With me so far? If you desire more or less overhang, adjust your measurements accordingly. Remember: This is not the cutting measurement, this is your finished measurement. 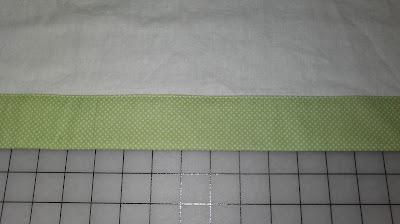 To decide my finished width, I didn't actually add on in inches. 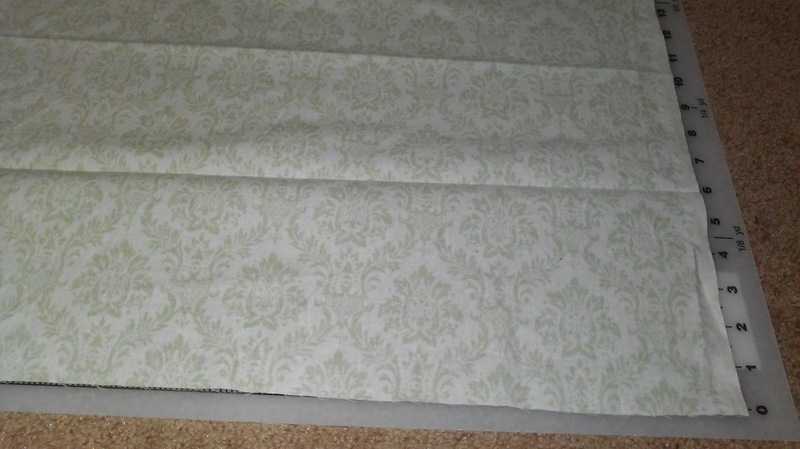 I was making two panels for the window, and obviously I wanted a little gather to them, so I planned to do roughly 2 times the window width, or about 48" per curtain, for a total of 96" of fabric gathered across the window. 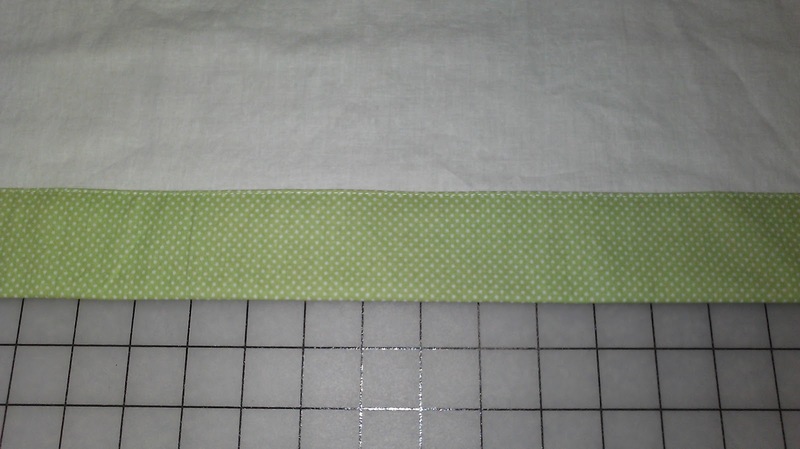 This would mean each of the two panels would have a total finished width of 48". 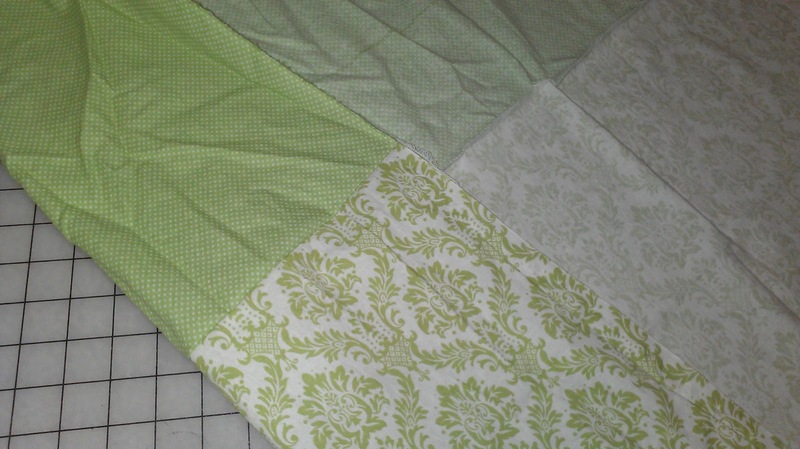 However, as I was making my curtains out of quilting fabric (to match Baby's quilt), I decided to just use the fabric width of 44". 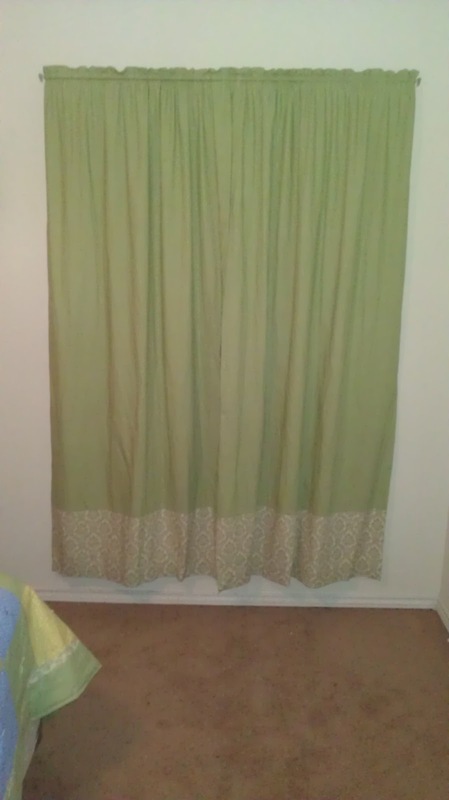 It was close enough to make me happy, and to prevent me from having a seam down the entire length of the curtain. If you are in a situation like this, remember you can always piece fabric together, but you will need more yardage. 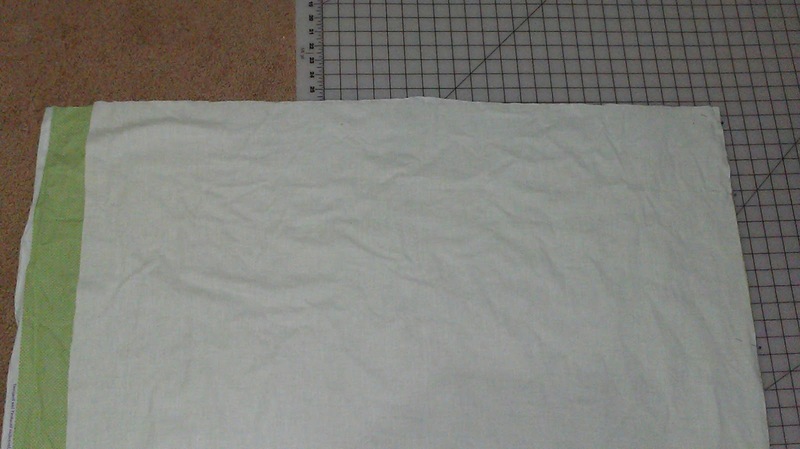 Anyhow, in light of this, I decided on two panels with a total finished width of about 44" each, minus the seam allowance. The width measurement is not quite as critical as it is bunched up on the curtain rod, but just make sure you have plenty of extra to give it a nice gather. Remember, once again, this is not the cutting measurement. 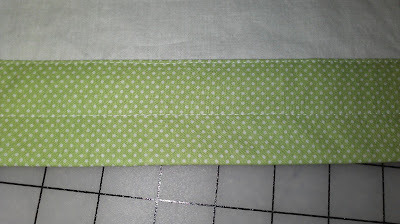 Next, I took my finished length and width and added on for hems, seam allowances, the pockets, etc. 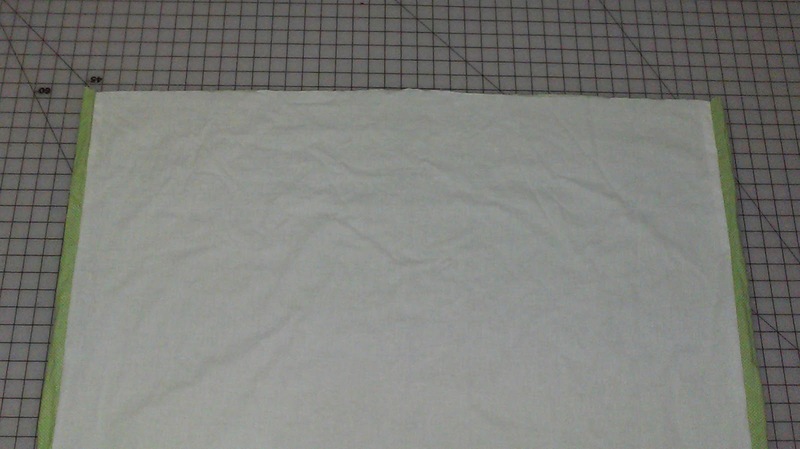 to obtain my cutting measurement. Before you can do this, you need to know what type of curtain rod you will be using. I went with a plain, cheap double-rod from Walmart which is designed to be completely hidden, so looks aren't an issue. Use whatever kind you want, just make sure your pocket depth is the right size. 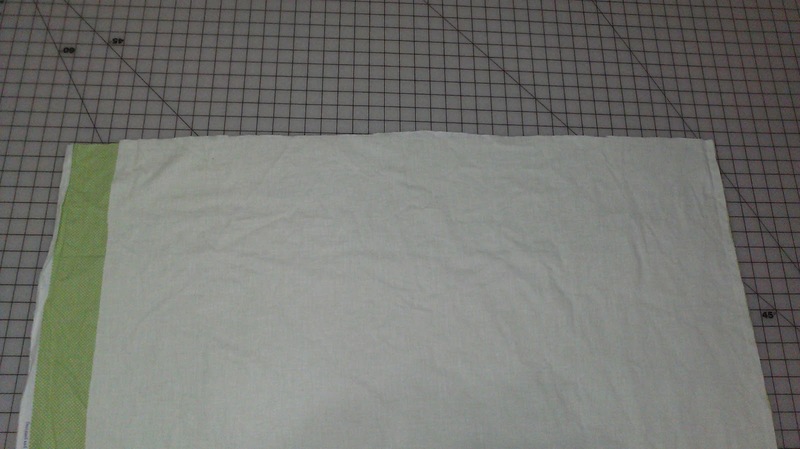 To my length, I added 1/2" seam allowance at the top, plus roughly 1" for my rod pocket, plus another 1" "frill" above the rod. 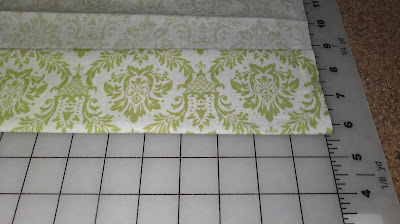 This equals an additional 2 1/2" to add to my finished length of 77"--bringing my total to 79 1/2". We're not quite finished with the length measurement, though! 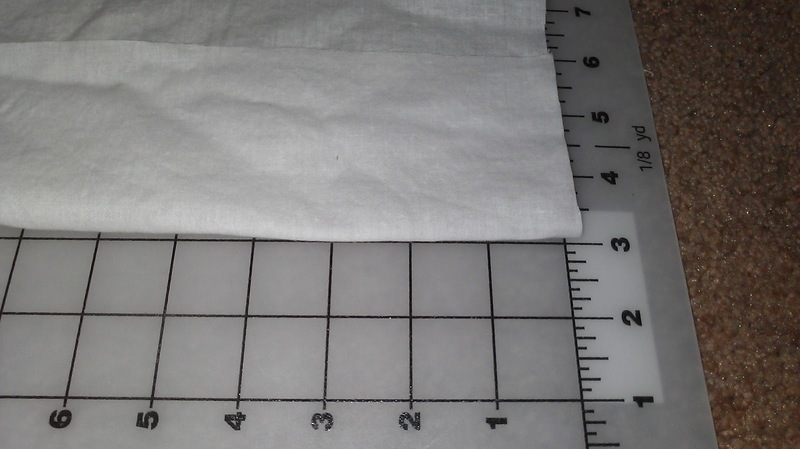 Don't forget about your hem! 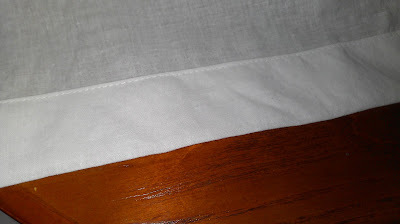 Hems on curtains are much bigger than hems on most other things, to add weight to the panels and help them hang correctly. 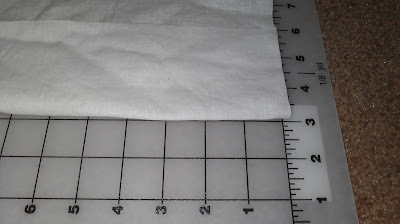 In some tutorials I found, a 4" doubled hem was suggested, meaning a total of 8" would be added to your finished length. 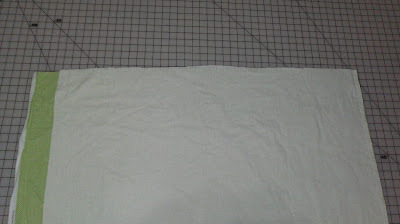 I decided to scale that back just a little, and went with a 3" doubled hem, adding 6" to my measurement of 79 1/2". This brought my total cutting length to 85 1/2". Take a deep breath. You're done with the worst of the math. Of course, I then had to do some more involved math because I wanted a separate color block on the bottom of my panels, meaning I had to figure out how long I wanted that, add seam allowance to it, and then only add the hem measurements to the bottom piece and only the rod pocket measurements to the top piece...yada, yada, yada. For simplicity's sake, I am pretending you are only using one type of fabric to make your curtains in this tutorial. Okay, so we have the cutting length for our curtains. 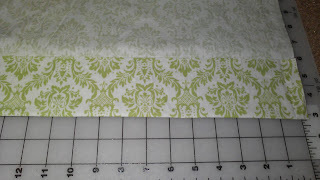 And because, as mentioned before, I was using the fabric width, we don't have to worry about that. However, if you do need to worry about that, do it now. 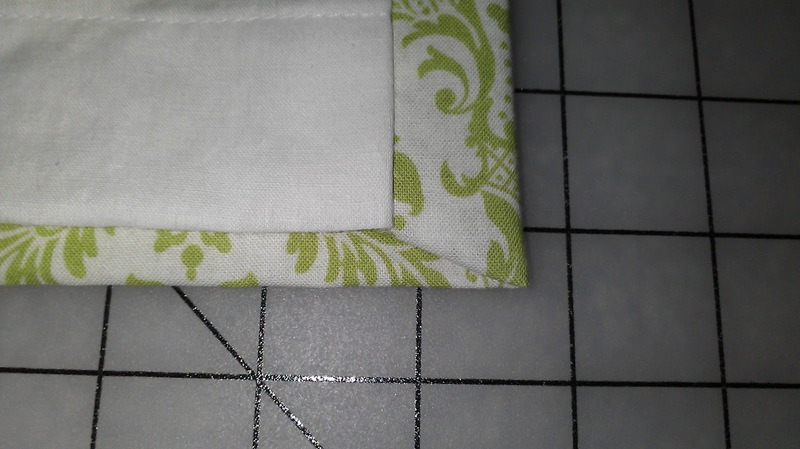 Take your desired finished width, add your seam allowance for both sides, and add in a couple inches extra for the fabric to wrap around to meet the lining. 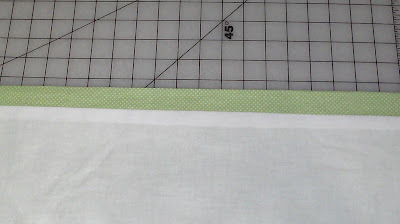 In all, you should probably be adding about 3" to your final finished width of each panel. 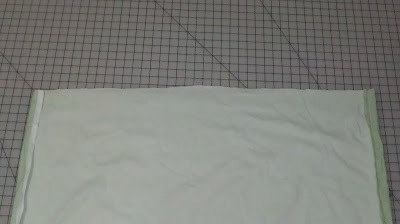 Next, we need to figure out the cutting size for our lining pieces. 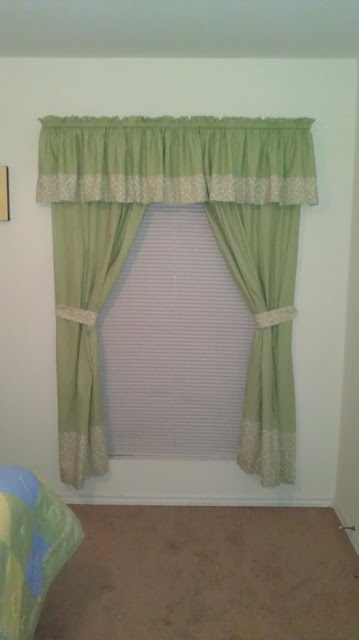 The math on this is much easier, though, because it is based off of the measurements for the actual curtains. Start again with your total finished length--if you remember, mine was 77". 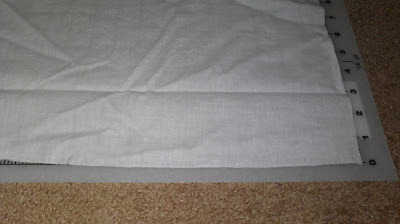 At the top of the curtain, the lining will line up with the outer fabric, so add the same amount to the top. 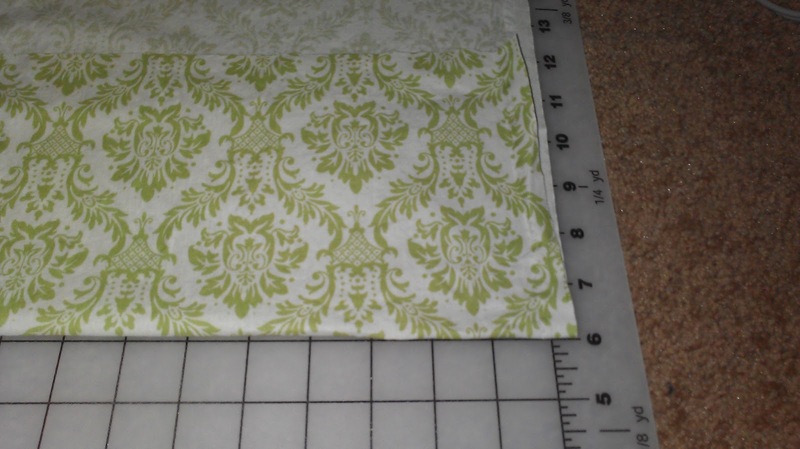 On mine, I was adding 2 1/2" to the top, so that takes my pre-hem length to 79 1/2". 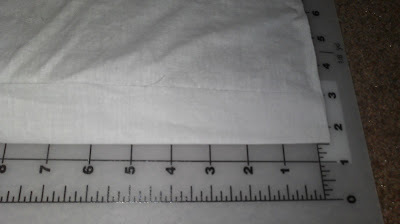 The hem on the lining can be about 1/2" the depth of the curtain hem, so for me, that came to a 1 1/2" doubled hem, adding 3" onto my finished length. 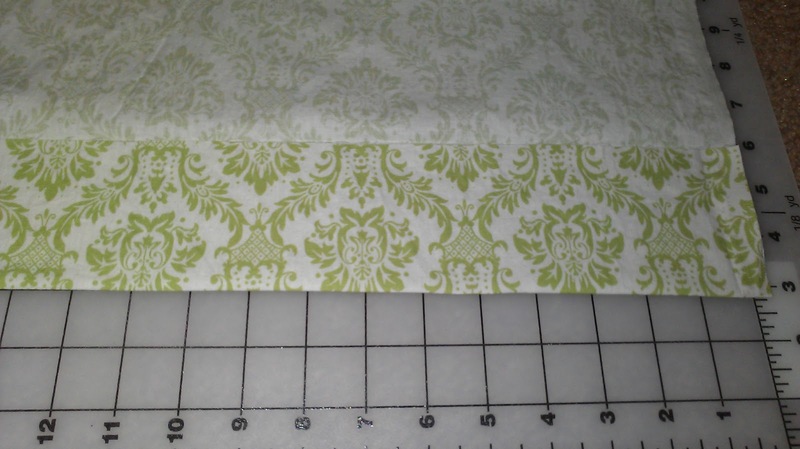 This brought my lining final cutting length to 82 1/2" long. ***Hindsight note: While this worked, it would have been nice if my lining was an inch or two shorter, so I didn't have to worry about it peeking out from beneath my panel. I should have realized this initially. Oh, the things you realize when you make up your own pattern! I should have gone with a cutting length of 80 1/2" to 81 1/2" for the lining. To figure my lining cutting width, I just took a little off the measurements for the curtain width measurement. 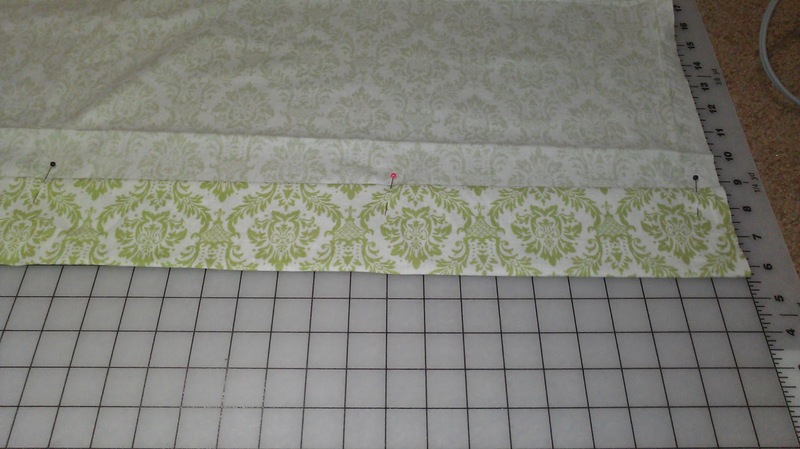 Your lining width should be 4" narrower than your curtain width. 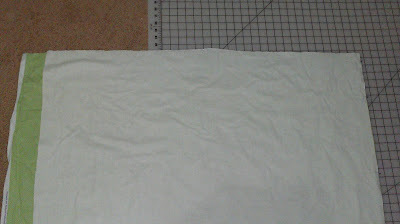 For me, that was roughly 40", until I prewashed my fabric and it shrunk slightly. 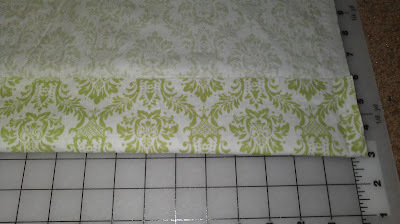 As it turned out, my final fabric width was 42", so I cut my lining to 38" wide. Okay, the math is done, and we are finally ready to get started! Phew! Yeah, I know. 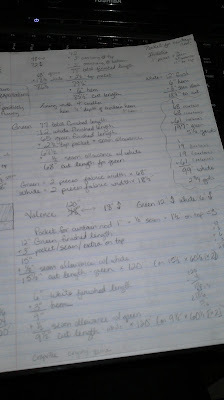 All that math and complication for 4 rectangles of fabric. But hey, the sewing part is easy! 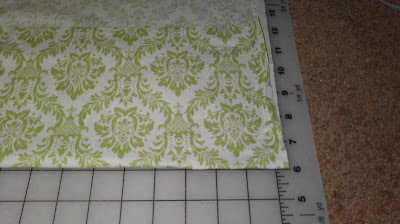 As I mentioned, I made mine with a different fabric at the bottom. 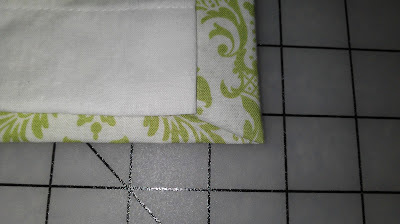 If you choose to do the same, the very first thing you will do is join your fabric pieces to make your panel, and then press the seam. Wow, my fabric is wrinkled in this picture. It's hard to keep 7 yards of fabric unwrinkled. 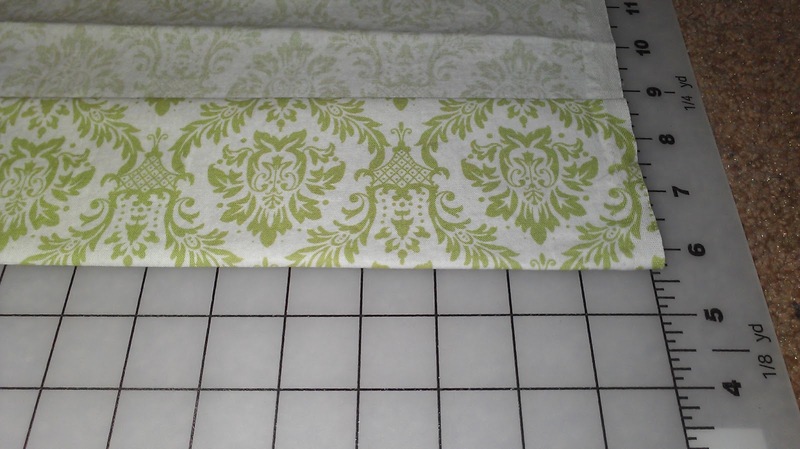 If you are not piecing together your curtains, this next part would be your first step. 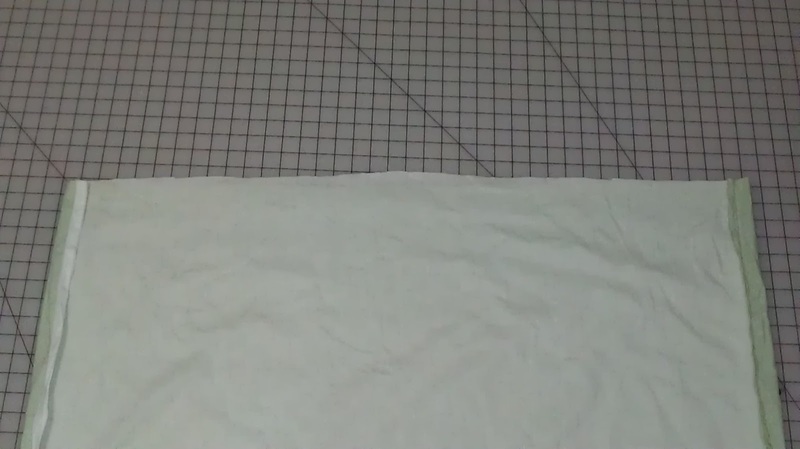 Using an iron, press up 6" on your hem. Unfold so you can see the crease at the 6" mark. 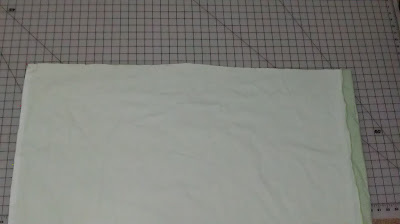 Ignore the other crease in my fabric above the 6" crease. 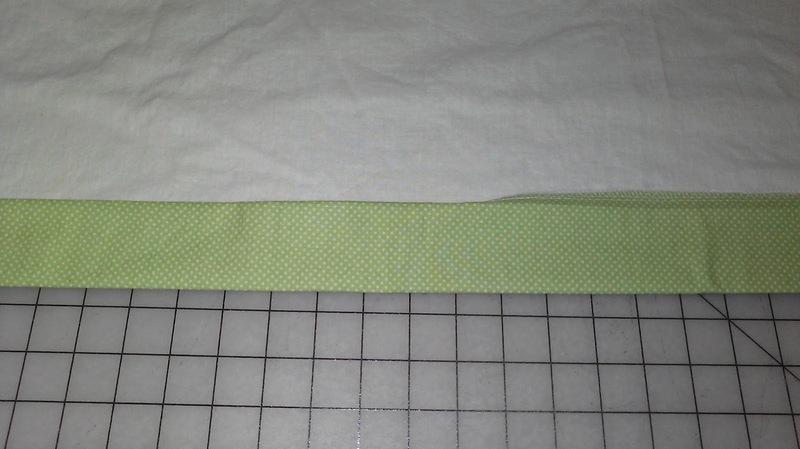 :) Now fold up 3"--the raw edge should just meet your ironed crease. 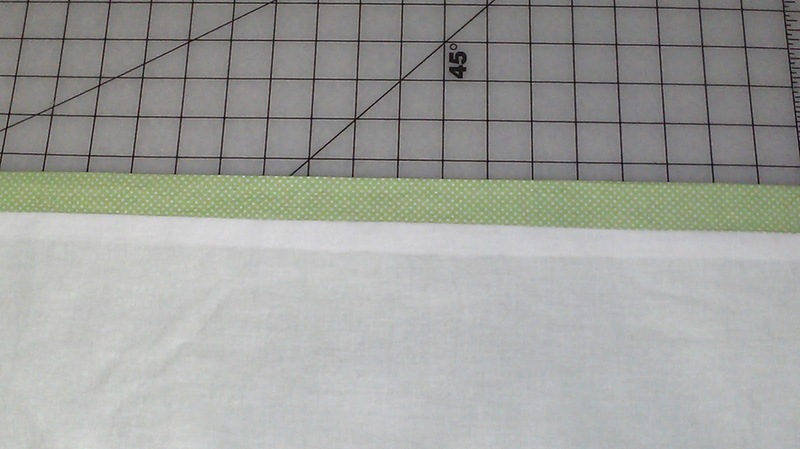 Now, leaving this part folded, fold again on your original crease, encasing the raw edge inside. 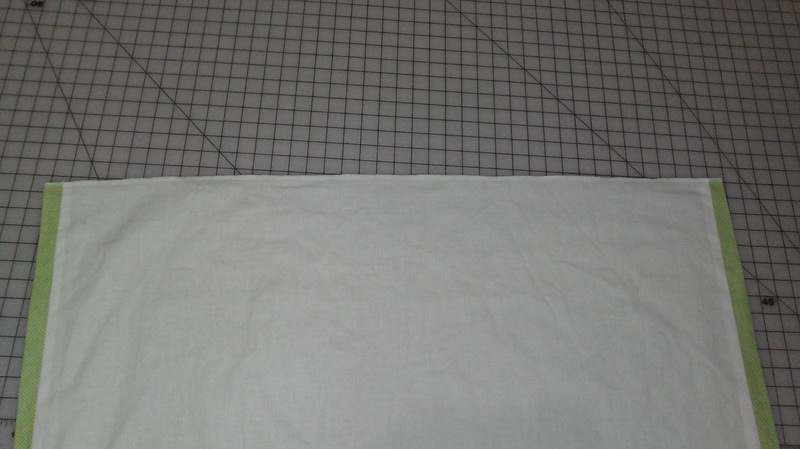 This will give you a doubled 3" hem. Put a few pins along the folded edge to hold it in place. Stitch close to the top folded edge. See how nice the hem looks? 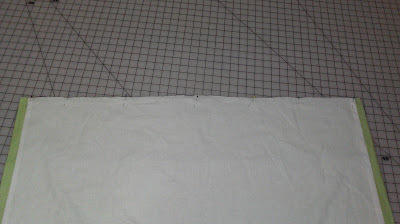 Now repeat those same steps with the lining, only changing the measurements slightly. Fold up and press 3" on the lining hem. 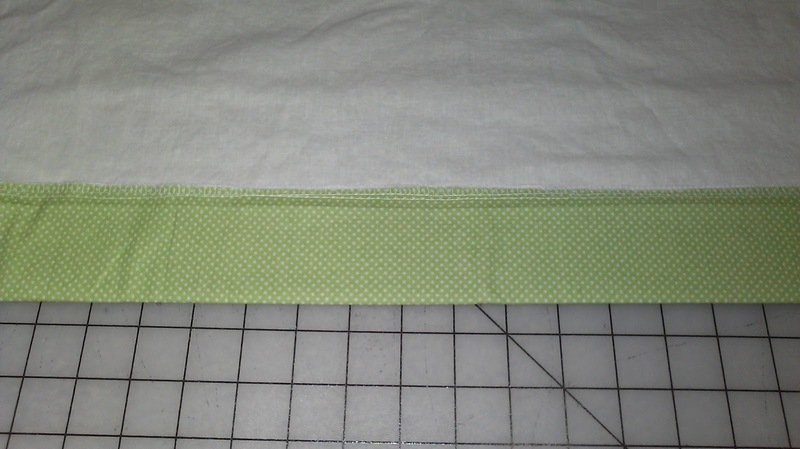 Fold up 1 1/2", the raw edge should line up to the crease line. Press. 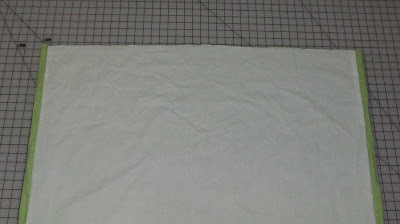 Keeping fabric folded, fold again on original crease, encasing raw edge. 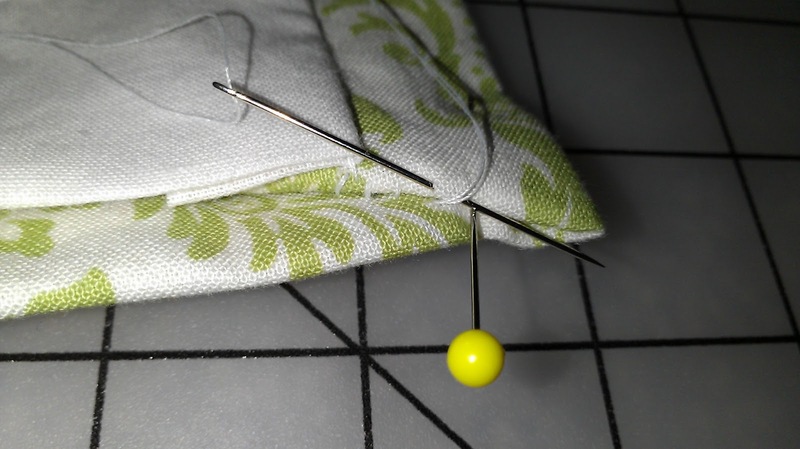 Pin every few inches and stitch close to top folded edge. Lay the curtain fabric and lining together, right sides together. Line up the top edge and one side edge. 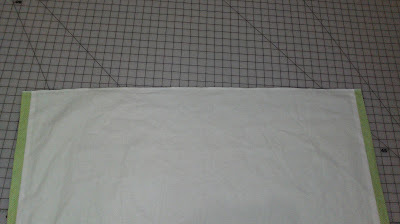 Sew the side edges together using a 1/2" seam allowance. 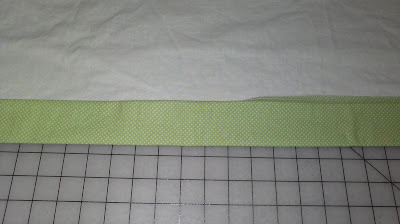 Keep the top edges lined up, and move the lining fabric over so that the other side edges line up. 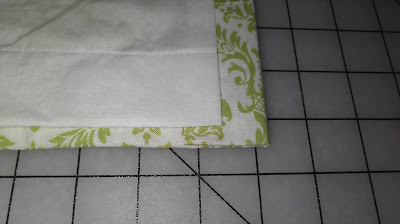 Sew the second side edges together. 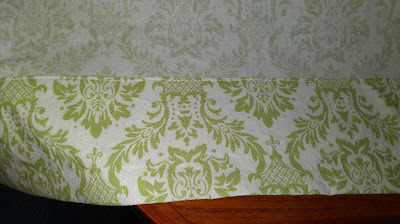 The curtain fabric will wrap around the lining a little on the sides. 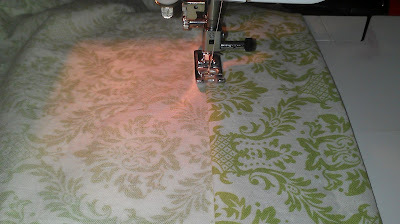 Turn the curtain inside-out, so that the right sides of the fabric are now on the outside. 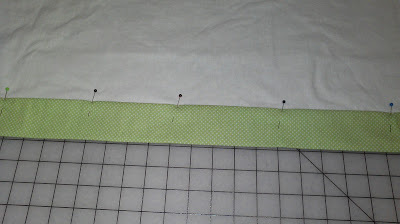 Adjust the panel until the amount of fabric on each side is about the same. 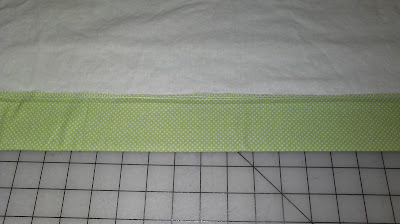 Press the side edges and the seams at the same time, being careful to keep the seam allowance all going the same direction while you press. Now your edges and hem are almost complete, with just a little finishing work needed. See how there is a slight bit of unfinished fabric peeking out at the bottom of the lining? 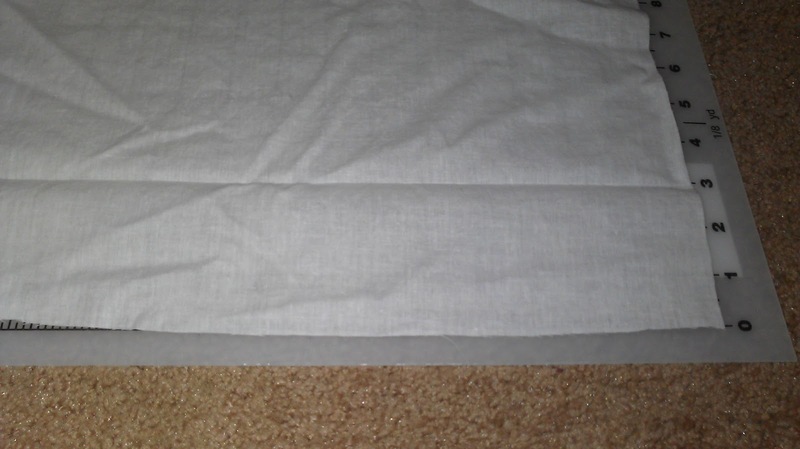 Tuck the fabric under, forming a diagonal fold from the corner. 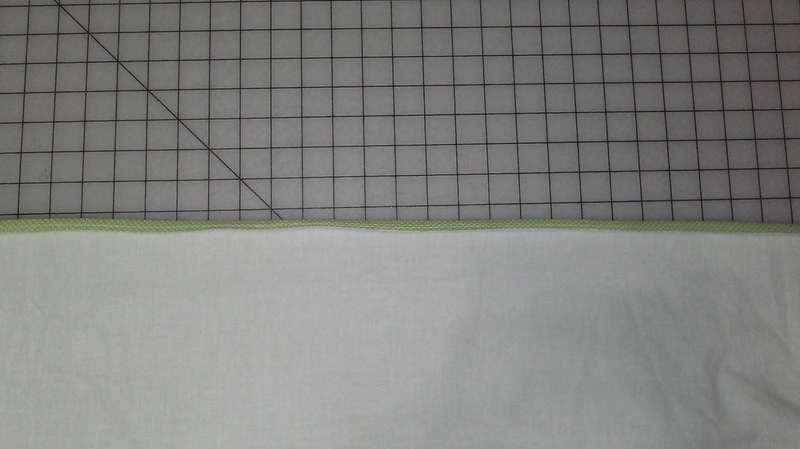 Stitch closed by hand, using a blindstitch. Pull the thread tight and tie off. Now your hem is complete. Serge the top edges together. 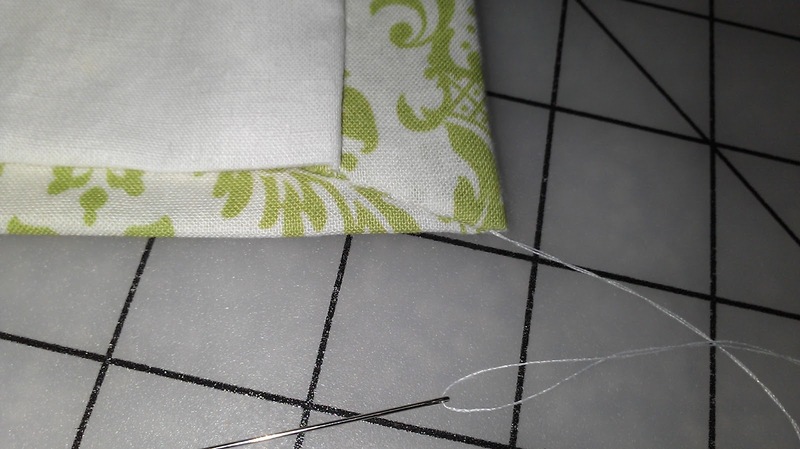 Take care of the tails from the serged edge using this method. Press down 1/2" of the top edge and then unfold. Press down 2 1/2" inches of the top edge. (This includes the 1/2 you just pressed down.) Note: Your measurement may be different here! 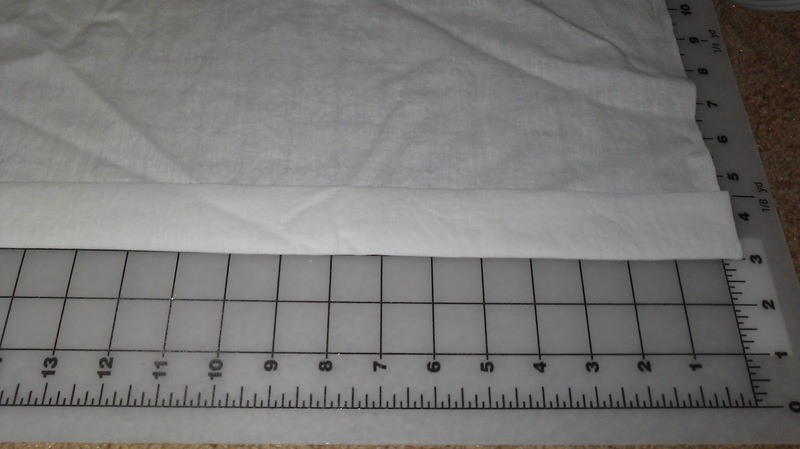 Press down the amount you need to make the rod pocket that fits your curtain rod. 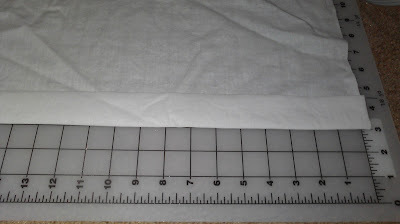 Tuck under the 1/2" originally pressed under, leaving you with a 2" wide strip across the top of the curtain panel (or whatever your measurement was). 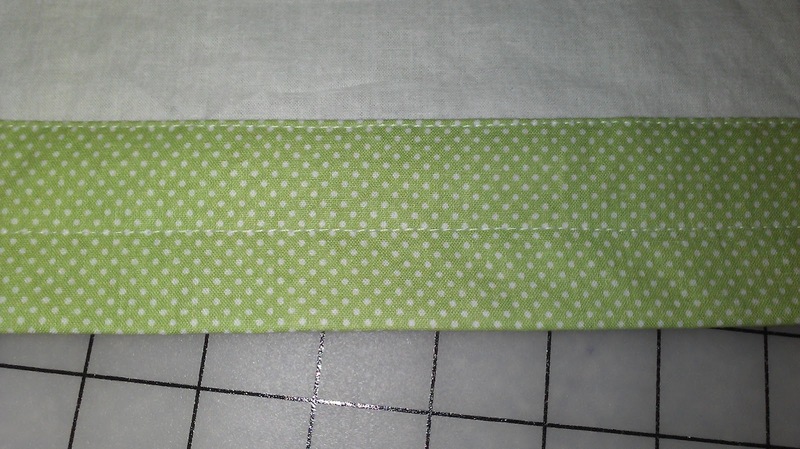 Pin folded edge in place. 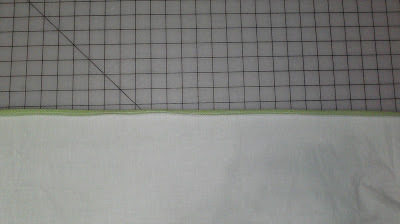 Stitch close to folded edge. Stitch again, 1" from first stitching. This will form the rod pocket. Note: Your measurement may be different here! 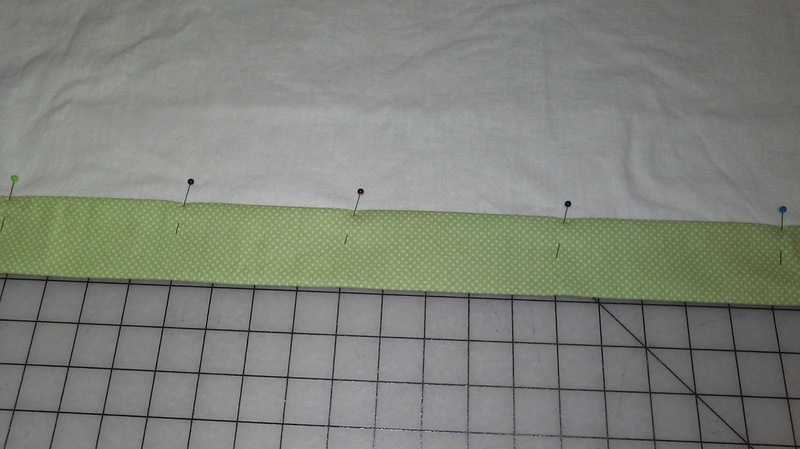 Stitch the size you need to fit your curtain rod. 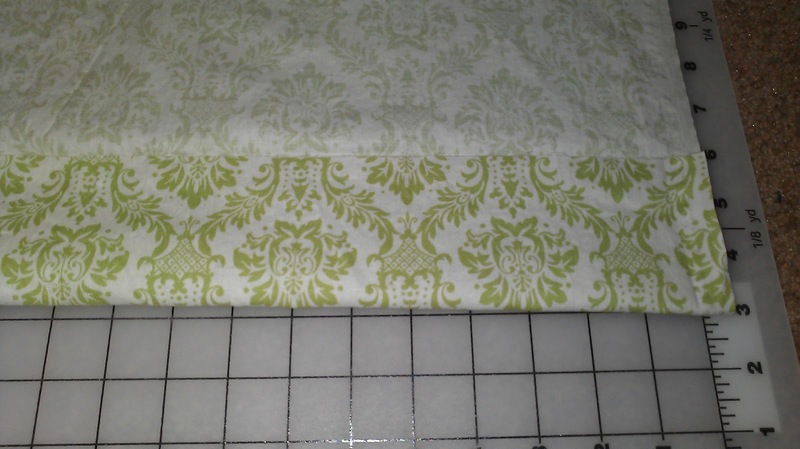 One of your lined curtain panels is complete! Now just repeat everything for the second panel, which I assure you will seem easier, now that you have one under your belt. 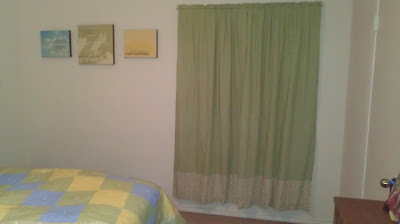 When both panels are finished, hang them up and admire your work! Give yourself a pat on the back for making lined curtains and saving yourself money! Here's another view of the curtains before the valence was completed. Her little room is coming together! See the beautiful canvases in the picture above? I have to give a shout-out to Rich in Blessings Photography, who designed these canvases especially for us based on the colors we are using for our nursery. They look amazing, and match our nursery perfectly!